Draw near and He will draw near to you beloved . . . Enter into His rest . . . I came to rescue My Children from this present evil age. I know that sometimes it seems that you will not make it. Do not listen to that voice of fear. Listen to Voice of Comfort. Renew your mind with the washing of The Word. I am He who created the earth,the moon, the sun and the stars. I also created you, Beloved. I knew you before you were ever born. I am a GOOD Father. My plans for you are GOOD. At My Right Hand are pleasures forevermore. It is My GOOD PLEASURE to give you the Kingdom. Cast down all doubts and vain imaginations that tell you I am an absent or distant Father. Though your earthly parents may forget about you, I never will. I cannot forget about even one of My Children. Never, no NEVER do I reject ANYONE who comes to Me. You are precious in My sight. I have engraved you on the Palms of My Hands. Your names are written down in the Lamb’s book of life. I am forever interceding for you. I have saved you to the UTTERMOST. Trust in MY faithfulness, Beloved. Stretch out your hand to Me in faith. I will never let you go. “Which Hope (Jesus) we have as an anchor of the soul, both sure and steadfast, and which enters into that within the veil” Hebrews 6:19. “For I am the LORD your God who takes hold of your right hand and says to you, Do not fear; I will help you” Isaiah 41:13. 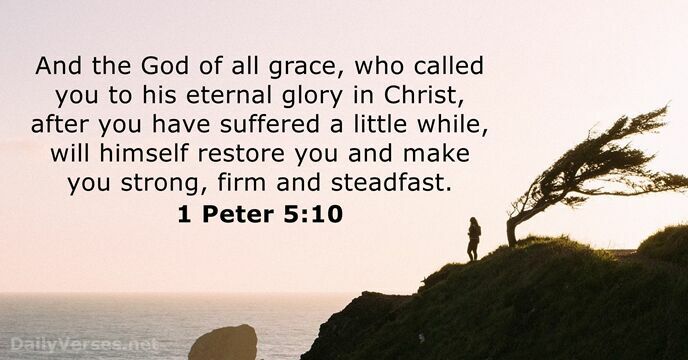 “Grace to you and peace from God our Father and the Lord Jesus Christ, who gave Himself for our sins so that He might RESCUE us from this present evil age, according to the will of our God and Father, to Whom be the glory forevermore. Amen” Galatians 1:3-5. “Do not conform to the pattern of this world, but be transformed by the renewing of your mind. Then you will be able to test and approve what God’s will is — His GOOD, PLEASING and PERFECT will” Romans 12:2. “Therefore He is able also to save them to the uttermost that come unto God by Him, seeing He ever lives to make intercession for them” Hebrews 7:25. “But you have come to Mount Zion and to the city of the living God, the heavenly Jerusalem, and to myriads of angels, to the general assembly and church of the firstborn who are enrolled in heaven, and to God, the Judge of all, and to the spirits of the righteous made PERFECT” Hebrews 12:22-23. “but thanks be to God, who gives us the victory through our Lord Jesus Christ. Therefore, my beloved brethren, be steadfast, immovable, always abounding in the work of the Lord, knowing that your toil is not in vain in the Lord” 1 Corinthians 15:57-58. Your heart . . . The enemy of your soul, loves to beat My followers over the head with their private lives. Knowing they hate hidden habits, issues and sins that pop up from time to time, he will beat them into condemnation, as they strive to put to death their flesh. Condemnation will beat your spirit man so badly, that you are unrecognizable. Guilt can then bind you so tightly that you will not want to show your face. Do you realize I, the one who knew no sin, was beaten beyond recognition for that reason. “Those that knew Me were astonished at how I looked; My visage was so marred more than any man, and My body was swollen more than all the sons of men” Isaiah 52:14. I was beaten so you did not have to be beaten down with condemnation. This does not give you license to sin but a way to overcome the sins of the flesh. I allowed Myself to be beaten this badly, so that those of you who follow Me could be free from being beaten down with condemnation, knowing “there is no condemnation to them which abide in Me, who do not deliberately walk after the flesh, but after My Spirit. 2 For the law of the Spirit of life in Me has made you free from being beaten down with the law of sin and death” Romans 8:1-2. Every kingdom person lives a “crucified life with Me: nevertheless they live; yet not they, but I live in them: and the life which they now live in the flesh on earth, they live by My faith, the faith of the Son of God, who loves them, and gave Myself for them” Galatians 2:20. As long as you are in a human body, you will struggle with the flesh, but if you continue to crucify your flesh you will live. The biggest struggle will be overcoming the beating of condemnation when you fail. Here is the kingdom answer for all citizens of the kingdom: “If any man sin, he has Me as an advocate with the Father, that’s right Me, the righteous one, who made a way for you: 2 I am the propitiation for your sins: and not for yours only, but also for the sins of the whole world. 3 And here’s how you will know that you know Me, and that you are a kingdom citizen, if you keep My commandments” 1 John 2:1-3. Now take the club away from your enemy, by making this your daily declaration: “Therefore if any man be in Christ, he is a new creature: old things are passed away; behold, all things are become new. 18 And all things are of God, who hath reconciled us to himself by Jesus Christ, and hath given to us the ministry of reconciliation; 21 For he hath made him to be sin for us, who knew no sin; that we might be made the righteousness of God in him” 2 Corinthians 5:17-18, 21. Come into the cleft of the Rock . 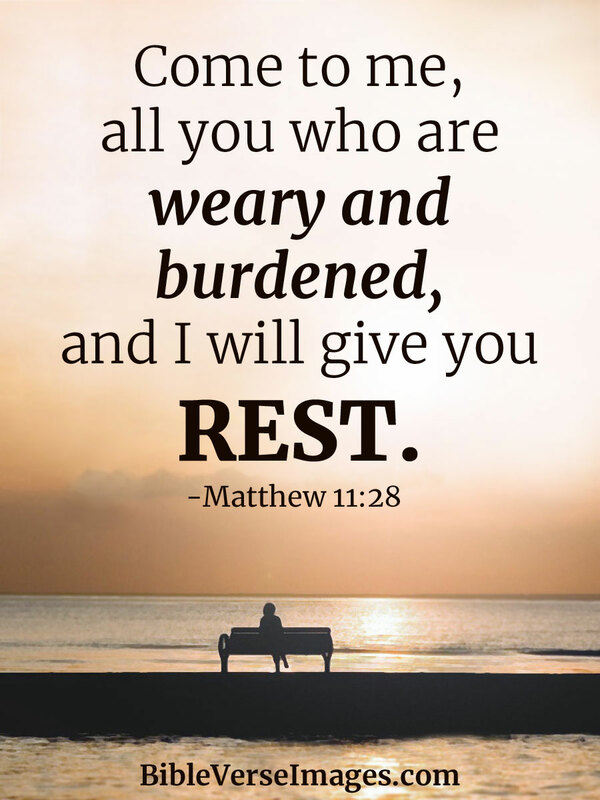 . .
All I want you to do is to be still, and know that I AM God, and that I AM in control of all things, and that you will have what it takes to get through to the end. I want you to know that I have been preparing you through all the trials you have gone through, especially those where you thought you wouldn’t make it, and there were many. I want you to know that you will not face any temptation that you aren’t able to bear. I will provide that way of escape so that you will be able to bear it. Fear not for I am with you. My rod and My staff will protect you. I will even prepare you a table even in the midst of your enemies. My goodness and mercy will follow you all the days of your life, and you will dwell with Me forever. Keep seeking My face and I will show you the path to go through the wilderness. Yes, you will have streams in the desert. I will refresh you and give you the strength that you will need. As you keep your eyes on Me, you will not be swayed by what will be happening all around you. You are My remnant bride and I have hid in your heart the truth of My word. I have prepared you to be a vessel of My glory and My love. 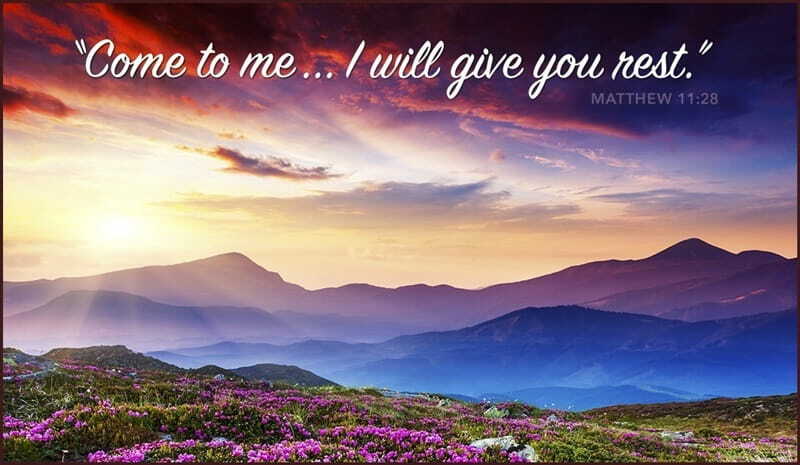 Yes, you will carry My glory and those around you will be drawn to My love. I have prepared you that even your shadow will radiate My healing power and many will be set free to receive My saving grace. Yes, these are the end of all times, but I have made you ready and you have all that you need to stand strong. All you need to do is quiet yourself down and know that I am God, that I am Sovereign, and I have everything under control. Deep calls unto Deep . . . come! Come out into the deep Beloved. Deep is calling unto deep. I am the Creator of the Living Waters, so you have nothing to fear. My Glory is covering the earth as the waters cover the sea. The world is getting darker and darker, but My Children are arising and shining with My Glory. Some are only in ankle deep, some to their waist, but I want you to go out into the deep waters. No more wading in the shallow end, Beloved. Venture out into the immeasurable depths of My Glory. Stand in the purifying clear waters flowing abundantly from My throne. This is the time of which the prophets spoke. I have already gone before you and made the Way. Be not afraid. My abundant Grace is sufficient for you. I am the God of more than enough. The world is stormy and treacherous, but you are NOT of this world, My Child. Struggle no longer against the tides of this world. I am holding you in My Hand and no one can pluck you from it. My Living Leaping Waters are crystal clear and peaceful and full of DUNAMIS power. My Spirit and lovingkindness is being poured out to you and to your loved ones like water on the thirsty land and streams on the dry ground. “Deep calls to unto deep at the sound of Your waterfalls; All Your breakers and Your waves have rolled over me. The LORD will command His lovingkindness in the daytime; And His song will be with me in the night” Psalm 42:7-8. “For I will pour out water on the thirsty land and streams on the dry ground; I will pour out My Spirit on your offspring and My blessing on your descendants” Isaiah 44:3. “Jesus also said to me, “It is done! I am the Alpha and the Omega, the beginning and the end. To the one who is thirsty I will give water free of charge from the spring of the water of life” Revelation 21:6. “This is what was spoken of through the prophet Joel: “AND IT SHALL BE IN THE LAST DAYS,’ God says, ‘THAT I WILL POUR FORTH OF MY SPIRIT ON ALL MANKIND; AND YOUR SONS AND YOUR DAUGHTERS SHALL PROPHESY, AND YOUR YOUNG MEN SHALL SEE VISIONS, AND YOUR OLD MEN SHALL DREAM DREAMS” Acts 2:17. God is faithful to you . . .
God will restore . . .
Everybody who looks at you and knows what you have been through thinks that you should be dead, done, and over with right about now! But every time the enemy tries to devour you or take you down. God shields you and takes you higher… But God! This morning as I was meditating, this word was ringing in my spirit….. The enemy thought he succeeded, but God is going to restore and repay you everything that was taken from you. Your health, finances, marriages, relationships, joy, peace, children and everything that the enemy thought he had aborted in your life. Some will get even double rewards. Get ready to see the move of God in your life! “I will repay you for the years the locusts have eaten — the great locust and the young locust, the other locusts and the locust swarm — My great army that I sent among you” Joel 2:25.